Why is my guitar out of tune with a capo? Always re-tuning your guitar after putting a capo on? 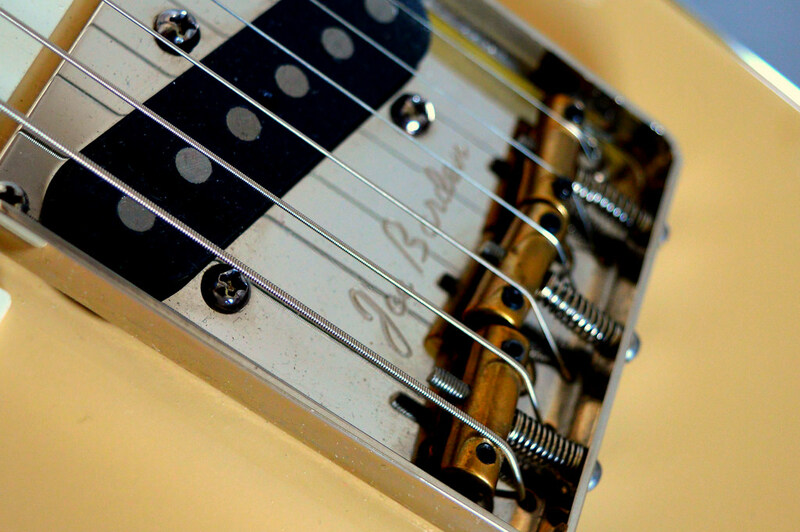 Learn what's causing this common issue on guitars and how to fix it! There’s nothing quite as annoying as being stood on stage having just tuned your guitar, popped your capo on and then strumming a chord only to find that your guitar is out of tune! It happens to the best of us, so don’t worry – it’s not just you. In fact, there’s a number of things it could be. So, let’s take a look at the most likely causes for your guitar’s sudden loss of tuning. The 4 key reasons why a capo can throw your guitar out of tune. How to check your guitar’s intonation. The different types of capo and how they work. The importance of setting up a capo properly. Read on for full explanations; tick these four boxes and you’ll be strumming like there’s no tomorrow! The first thing to check is the intonation of your guitar. Put simply, a properly intonated guitar will be in tune relative to itself, across the whole fretboard. So, an ‘E’ played on the open 6th string will be perfectly in tune with an ‘E’ played on the 12th fret of the 1st string or the 5th fret of the B String. If your guitar isn’t intonated correctly, then notes will sound progressively more out of tune the higher up the fretboard you play. This means the guitar will always sound just a little bit out. It’s worsened by using a capo because the capo will pull all of the strings ‘slightly out’. And by playing open chords, you’ll just be making matters worse. Also, make sure you have a good capo – but more on that later. You may not even be aware your intonation is a problem until you play with a band. Better get that soundcheck in! Thankfully, intonation is fairly easy to check, but not so easy to change. It’s best to get a guitar tech to adjust the intonation if you aren’t confident with guitar repairs. Check the open tuning of the string and, if necessary, get it perfectly in tune. Now fret the same string on the 12th fret, and see if the note is still spot on. Play the natural harmonic found on the 12th fret and, again, see if your tuning is still true. You may find that your intonation is close, but not perfect. To be honest, particularly on an acoustic, with a carved one-piece saddle, you may never be able to get it perfect. But it should certainly be very close. A good rule of thumb is that even if it’s showing as a few cents out, but sounds in tune to your ear, then you’re going to be ok. If there’s a large discrepancy between the tuning of your string when played open and at the 12th fret, then you’ll probably need a setup. Keep in mind that if your guitar’s intonation is out, then anyone singing along will be singing out of tune – and that’s a bad habit to get into, especially if you are the one that’s singing! How Do I Fix Bad Intonation? Getting a professional to set up your guitar properly can make a world of difference. If you’re using an electric, or an acoustic with individually adjustable saddles, then you can correct your intonation yourself. But be warned; if you don’t really know what you’re doing it’s very easy to make a real mess of the guitar! If your intonation is out, there’s a good chance that your guitar could benefit from a setup by a pro. They will tweak your action, check your frets are dressed properly, file the saddle (on an acoustic) and use very precise oscillating tuners to make sure your intonation is as good as it can be. If you think your guitar could benefit from a setup, check out our repairs page! OK, so let’s assume your intonation is spot on. We’re going to turn our attention to the capo itself. Capos come in all manner of shapes, sizes and price points. There’s the cheap and simple wrap around / latch style capos, which are great to chuck in a gig bag and easily adjusted to different size necks. There’s also the elasticated kind, which work in a similar principle, but with a little extra flexibility moving from guitar to guitar. The trouble with these cheaper options is that they can bend the strings laterally when being put on, or apply too much pressure to the strings due to the lack of adjustability. Excess pressure on the strings is a super common cause of tuning issues. Essentially the added pressure from spring loaded, elastic or cheaper capos squeezes the strings too much and pulls them out of tune. You’ll often find that the thicker strings suffer more as the capo squeezes them against the fretboard. Test the theory: With some spring-loaded Capos, you’ll be able to test this theory – pluck a note and then just gently begin to release the tension on the capo. Not enough to cause the string to buzz, but enough to see if the pitch drops slightly as you take that pressure off. Which Capo Should I Buy? Some don’t rely on springs which alleviates the issue of dodgy tension. For example, the G7th Ultralight is a great example – or the regular G7th Capo. The G7th allows you to apply the correct amount of pressure ensuring that you won’t put the strings out of tune. It’s easy enough to do with one hand (just like a spring-loaded capo) and if you do put to much pressure on the strings, you can just release the capo and find the sweet spot again. It’s best to try a handful of capos to figure out which one best suits you. You’ll want to consider budget, playing style, ease of application and more. Check out our full capo selection here! Another potential cause might be the size of your frets. The larger your frets the more potential you have to bend the strings out of tune as you apply pressure from the capo. This doesn’t mean you need to go and get your guitar re-fretted, but it does mean the effect of a spring capo will be greatly exaggerated. Vintage frets (which are generally smaller) will be less affected but jumbo frets stand quite tall, meaning there’s more distance from string to fretboard. That enhances the risk of poor tuning/intonation when more pressure is applied. It’s also possible that you’re just putting your capo on in a hurry, at a funny angle or without applying even pressure across the strings. Place the capo just behind the fret and check that the strings are still evenly spaced and parallel to each other. It sounds silly, but if you’re out by the tiniest amount you’re going to hear it. Also bear in mind if your strings are old, then they could be bent out of shape too. Always change your strings regularly to get the most out of your guitar! Whilst it can be frustrating, guitar tuning issues when playing with a capo are not difficult to fix. Next time you sigh and reach for the headstock to fix your tuning, you can use this guide to work out the cause and your capo problems will be gone. If you use a capo regularly, it is definitely worth investing in a good quality design for both quality and ease of use. However, even the best capos can’t fix intonation and setup issues; so if your guitar needs some love, a good setup can do wonders to how the guitar sounds and feels to play.